On March 28th, 2016, The Imperium suffered a defeat. We suffered a defeat at the hands of our enemies on the field of battle. We suffered a defeat of overwhelming numerical superiority, something that Imperial forces are not accustomed to facing. Finally, we suffered defeat at the hands of an ally whom we believed in and counted on betraying us, even as we were dying en masse, trying to secure their home. The news of Circle of Two abandoning the Imperium, potentially to throw their lot in with those laying siege to our territories, took New Eden by storm. The Money Badger Coalition quickly celebrated their victory, declaring the fall of The Imperium loudly and proudly, everywhere they could. For what it’s worth, I can’t blame them for enjoying our suffering, they won a huge battle, proved that their coalition had the numbers and the willpower for a massive TiDi slugfest, and a massive participant to the Imperial defense abandoned their posts, going as far as to take arms against their former friends and allies. This is the first time I’ve ever seen warfare on this scale in EVE, so the past few days have been a whirlwind of emotion, stress and excitement for me personally. It’s the massive wars and betrayals that have made me a fan of this game long before I ever played it, and I can’t help but spend the vast majority of my day forsaking my real life responsibilities, just waiting to get back into the sandbox and experience it. Goonswarm Federation Mumble is not ever what one would call a peaceful place; Goons are often loud, crude, and obnoxious, it’s just who we are. Despite that, when The Mittani calls for a fireside chat to speak to the alliance, and whatever allies want to hear him, the Fireside channel generally shows a considerable amount of comms discipline allowing our leader to speak his piece. The night of the betrayal, this was not the case. The mood in the room was not of a downtrodden, defeated mass of people, looking to be placated by soothing words and made to feel that the sky wasn’t falling on top of their heads. The room was full of energy, full of excitement. This was the EVE that all of the pilots that had signed up since the close of the Halloween War had heard about. This was the EVE that the veterans spoke of longingly. A new Great War to fight, and a willingness to fight it were the topic of the day. By the time The Mittani addressed the crowd, every pilot that had reported losing a ship in one of the many fights had been paid. In many cases, the ship replacement payment plus the value of the in-game insurance actually exceeded the cost of the ship. As The Mittanni began to speak, most of the assembled players became respectfully quiet, listening to how the events played out from a top-down view. Alternatively, we listened to the guy who we chose to follow tell us what we needed to hear, criticize our mistakes in a palatable manner, and assure us that there would be more fights and fun to have in the future. In the end, morale was much higher than it deserved to be after suffering like we did. No one in The Imperium thinks we did anything but lose yesterday, not deep down. Some may speak out contrary to that statement; they are looking for a reaction, feel free to feed it to them. We lost a battle, a major battle, but we haven’t lost the war. That’s all well and good, but what does all this Kool-Aid mean to me? 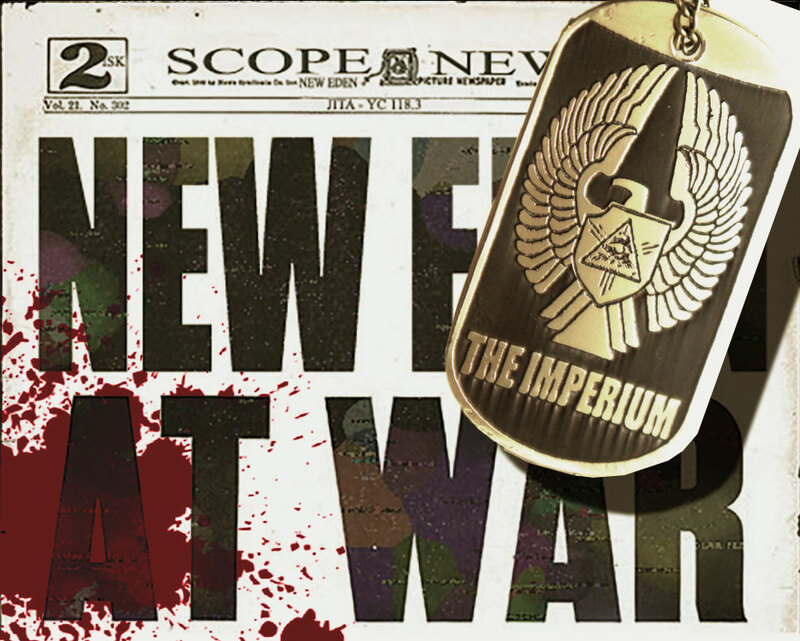 Putting aside my allegiance to the Imperium, my loyalties to the Goonswarm Federation, and even my affiliations with Karmafleet for a moment, this war is one of the single most exciting things I’ve ever been a part of in relation to a video game. My favorite genre of video game is “Massive Multiplayer Online” games, by a large margin, maybe it’s the reinforcement that so many other people enjoy my hobby, maybe it’s the social interaction, or maybe it’s the ease of comparing my progress to other people’s, I’m not really sure. What I am sure about, is that EVE is like no other game in it’s ability to crank the “Massive” part up to 11. During the battle last night, there were over 3,400 pilots in a single system. Even if you assume that every player was staying true to CCP’s estimate of 1.6 accounts per player, that’s still nearly 2000 players participating in the same event. No other game can give you that. 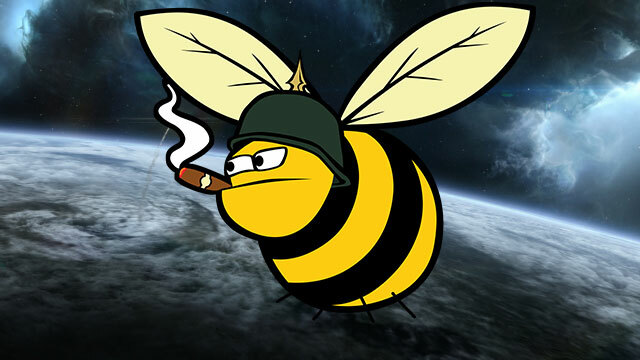 Actually being in a fleet and trying to kill other players is not the only way that people are involved in war in EVE, that’s far too simple. Someone built the ships that we are using to kill each other. Someone else had to mine the minerals that those ships are made out of. Even once those ships were made, someone had to buy them from a market, and make sure that all of the individual fittings made it to the staging system. I can’t imagine a player in New Eden that is in some way not affected by this current conflict, even if they are not actually fighting. It would also be in bad form for me not to mention the vast amount of propaganda that has been coming from every organization involved, it’s been blanketing the entirety of the EVE related internet for the entire week. To me, that’s the greatest thing about EVE. At the end of the day, no matter what side a person is on, we’re all playing in this massively complex and intricate sandbox together. 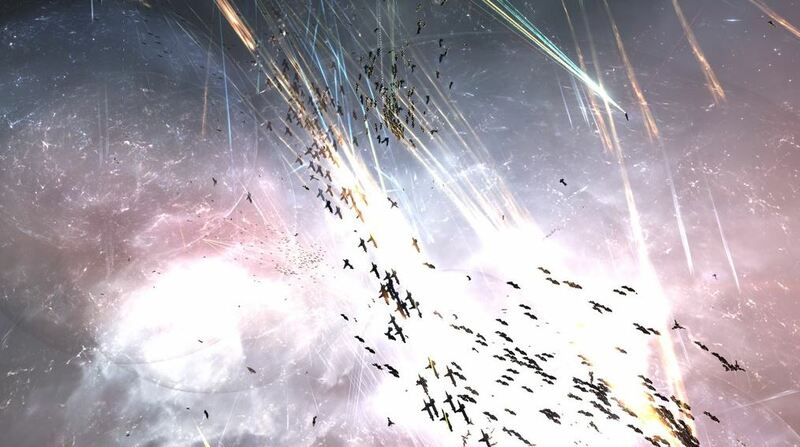 EVE’s biggest weakness as a game right now is it’s player base, there’s just not enough of us to fill the sandbox, but this is an incredibly exciting time for all of EVE. Players are coming back and renewing subscriptions, EVE is hitting general gaming media again, and new players are starting to trickle into the game at increased rates. I’m incredibly excited to be a part of this era of EVE Online. Where the enormous fleet fights that lured me into EVE in the first place can still happen. Where the backstabbing and the politicking can still massively alter the landscape. I truly hope that everyone in The Imperium, The Moneybadger Coalition, and the rest of New Eden are having as good of a time as I am with EVE right now. Sarin Blackfist is a linemember with Karmafleet, part of the Imperium.